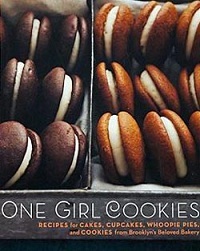 One Girl Cookies may have a soft spot in your heart if you already live in Brooklyn and have visited the popular bakery, but you certainly don’t have to live in the neighborhood to appreciate the recipes in One Girl Cookies: Recipes for Cakes, Cupcakes, Whoopie Pies, and Cookies from Brooklyn’s Beloved Bakery. The bakery started with humble beginnings – one girl in an apartment baking a few cookies – and grew from there, always keeping with simple recipes that packed a lot of flavor. These easy to make recipes transition perfectly to a home kitchen because they’re homey recipes and include cookies, cakes, tarts and whoopie pies. The book is divided up into chapters by type: Comfort Cookies, Party Girl Cookies, Cakes, Whoopie Pies & Cupcakes, Pies & Tarts, Breakfasts, and Family Recipes. They cover a wide range of flavors, but all of the recipes are based on fresh, in-season ingredients and ingredients that you can easily find at your own neighborhood markets, rather than very unusual or difficult-to-find ingredients. The recipes are very clearly written and are easy to follow along with. 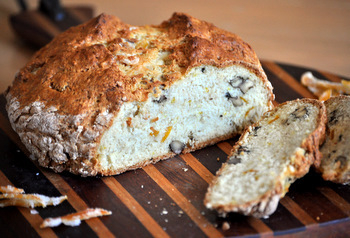 Most, in fact, are easy enough for a novice baker to jump in with and do very well. The recipes are also paired with family stories or short blurbs about the creation of the recipes, which definitely serves to make them more appealing. What helps even more than the charming stories are the beautiful photos that showcase all of the tempting treats in the book. This is the type of book that most home bakers are likely to turn to again and again because of the variety and simplicity of the recipes. 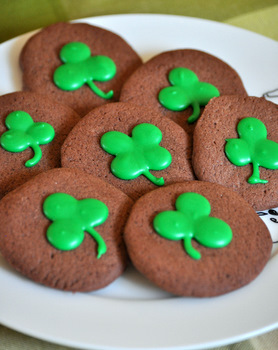 Cookies, bar cookies and whoopie pies are some of the most popular treats that home bakers make and there is no shortage of good recipes for those categories (As well as many others!) in this book. On top of that, there is a great range of flavors to these recipes, which means that you’ll always find something new when you flip through.